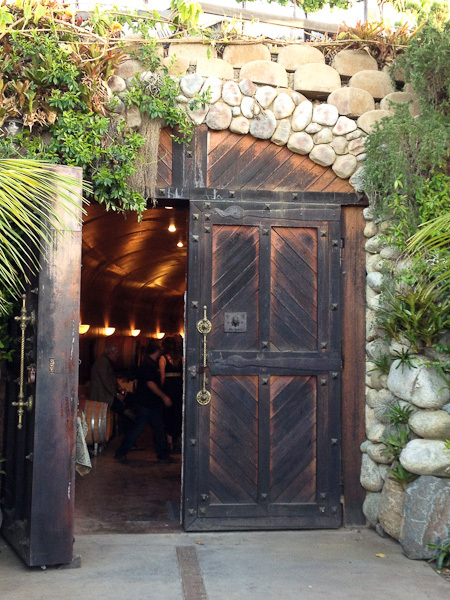 A winery right in Newport Beach? 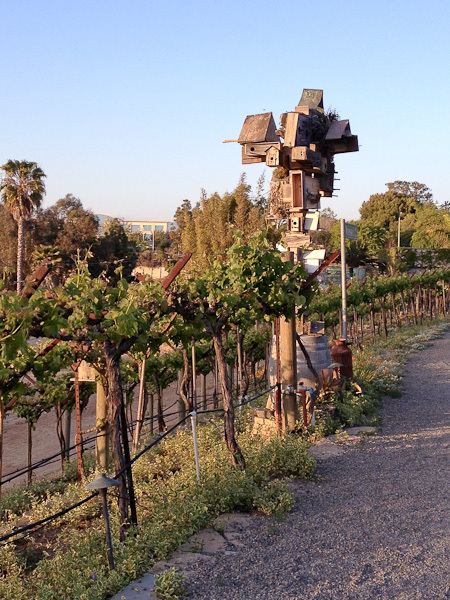 Yep, Newport Beach Vineyards & Winery, overlooking Upper Newport Bay, is one of the hidden gems in Orange County. Located on the 1,000-acre Upper Newport Bay Nature Preserve and Ecological Estuary, Newport Beach Vineyards & Winery (NBVW), founded in 1998, has revived the tradition of making wine, well established in the Anaheim area at the turn of the century. They proudly support the environment with biodynamic activities including water conservation through drip irrigation, primarily organic farming, bottle glass recycling, and soloar power for the winery and residence. 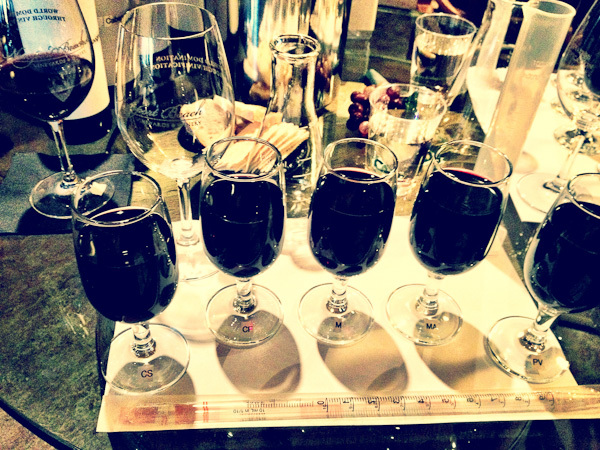 Wine lovers, whether you’re just beginning to appreciate the complexities of wine or consider yourself a connoisseur, will find the wine blending event interesting and educational. NBWV rotates between wine blending and wine education events during the summer months and will be releasing the schedule in two weeks. When I attended last month, we were guided through tasting the varietals by Level II Certified Sommelier Melanie Chang. 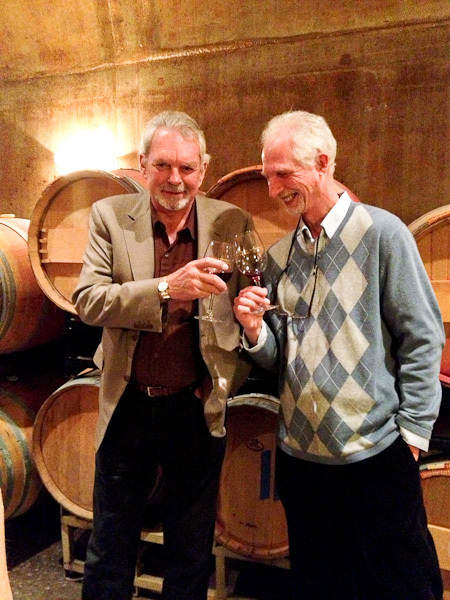 Owner Richard Moriarty spoke with guests about his transformative journey to farmer and vitner and Peter Smith, who teaches wine education courses, encouraged guests to be experimental and was able to identify the varietals in our concoctions and offer suggestions after tasting them. Businesses and private parties can also book these experiences for individual groups with a minimum of 8 people. You know it’s going to be a good night when you see a table that looks like this! 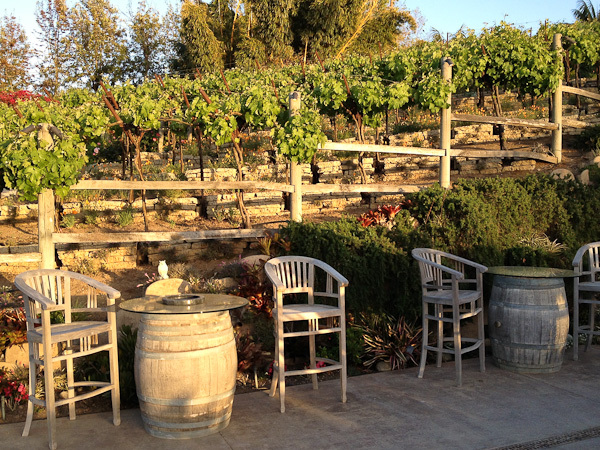 In fact, the entire unique site of Newport Beach Vineyards & Winery can be reserved by businesses or private parties during the year. Among some of the exclusive special events hosted at this venue are business soirees, political fundraisers, charity events, surprise birthday parties, anniversaries, and many other distinctive occasions, with the exception of weddings – one too many bridezilla affairs discouraged that. Nestled among the vines is a 1,000 sq. ft. Underground Wine Cave where their wines age for two year in imported oak barrels. My eyes lit up when I was told that even the cave is available to entertain groups of 12 to 200 guests. Newport Beach Winery and Vineyards is very active in the community and participates in many local fundraising and tasting events. My first tasting experience was at the annual Riviera Magazine’s To Live & Dine Chef’s Challenge party at OC Mix at South Coast Collection. More recently, they participated in the Race to Heal Hunger on April 27th with tastings of their 2010 OC Estate Unobtainium Meritage Blend, their first ever 100% Estate grown wine,and their 2009 OC Red. Level II Certified Sommelier Melanie Chang offered wine education to the VIP guests as well as discussing pairings with the different food stations. During the main part of the event NBVW provided wine bottles to all of the VIP tables serving our 2008 and 2007 Back Bay Cuvees both Napa Valley Meritage Blends. During the live auction a wine tasting tour and tasting for 12 guests sold for $750! On May 13, 2013, Newport Beach Winery is proud to be participating in the Newport Beach Wine Tasting for Laura’s House at Big Canyon Country Club. Laura’s House helps individuals and families affected by domestic violence. Richard Moriarty (L) and Peter Smith toast the evening. Delicious appetizers + good wine and good fun in a unique setting makes for a terrific evening! Purple Potato Pesto Pizza – the Best Vegetarian Pizza Ever!